Stephanie Izard and Gary Valentine call out a few of their favorite breweries in the Midwest. Here, chef Stephanie Izard and her husband Gary Valentine call out a few of their favorite breweries in the Midwest. Izard is partial to the seasonal beers, like a blueberry ale, from this small upstart. darkhorsebrewery.com. Unusual for Belgian-beer specialists, Perennial ages one ale in wine barrels for two years. perennialbeer.com. Off Color excels at innovating with obscure traditional styles like Gose, flavored with salt and coriander. offcolorbrewing.com. 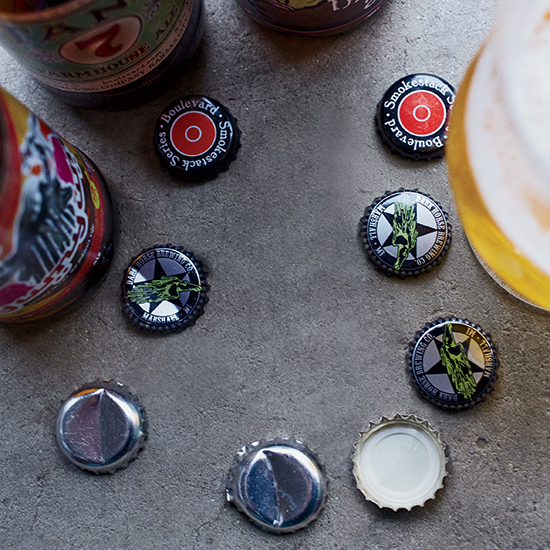 A Midwest craft-beer pioneer; ferments all of its ales twice, once in-bottle. boulevard.com. Valentine predicts that this new brewery (known for a Double IPA called Sinister) will “become a big hitter in the next couple of years.” 18thstreetbrewery.com.